We are offering guests an excellent Ontario vacation experience at a very reasonable rate. 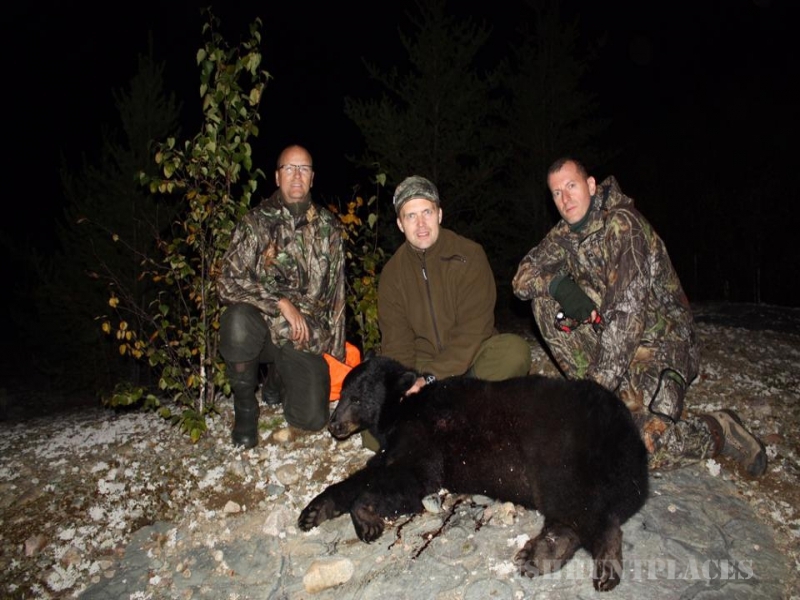 Our Ontario Whitetail Hunting on the east side of Rainy Lake close to the lodge are done on government land. This area has produced some of the finest local trophies in our area. 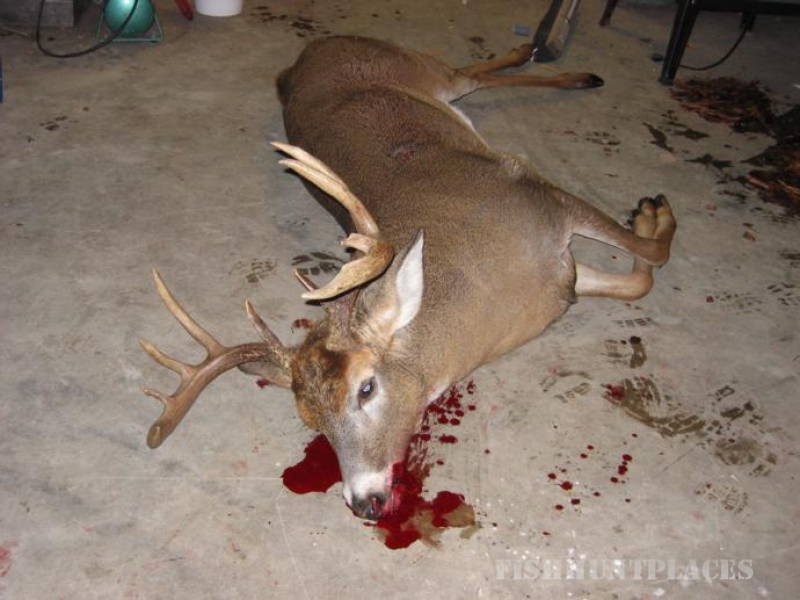 Although not as heavily populated as the west district, year after year huge bucks are harvested. 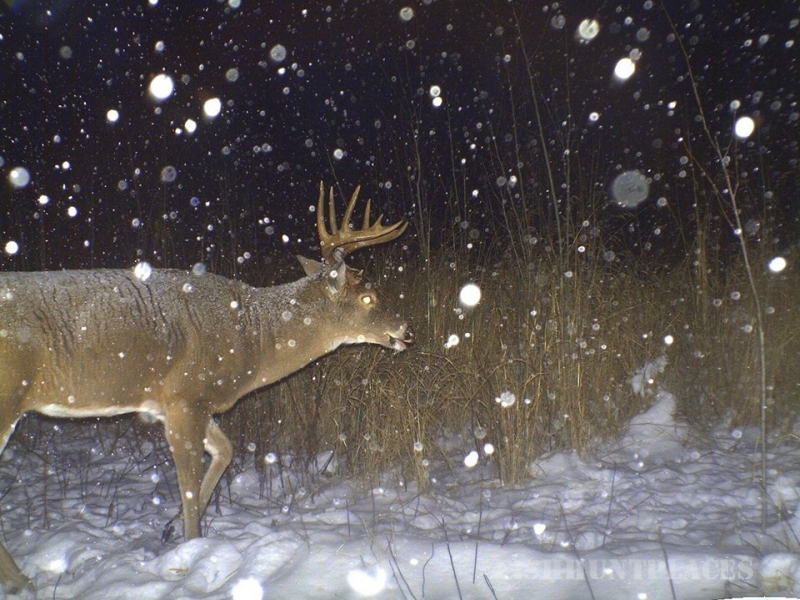 Whitetail fanatics know that fewer deer grow much larger deer. 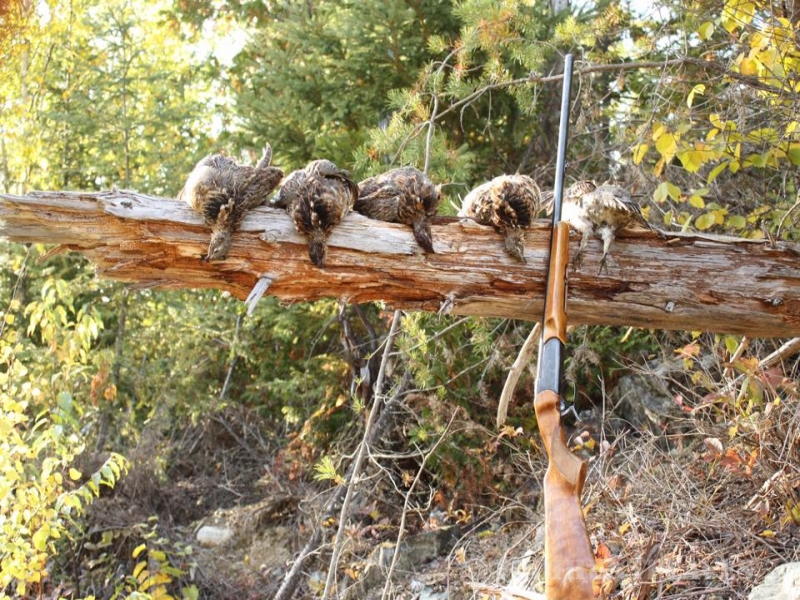 These hunts consist of sitting in portable stands or tents over active spots, scrape lines or funnel areas accessed by boat or ATV. 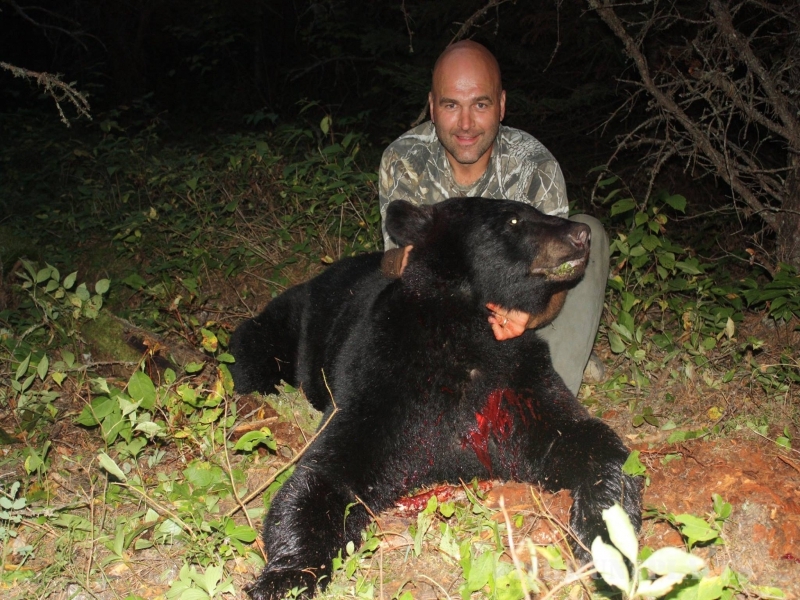 We are offering these hunts at a great price to show our guests what we have to offer. You won't want to miss out, as spots are limited to 6 hunters per week. 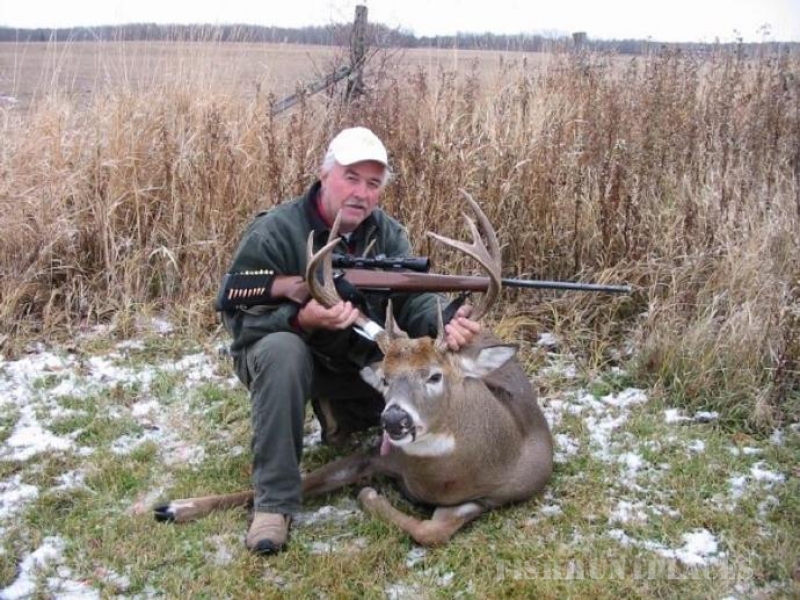 So come join us on an exciting Ontario Whitetail Deer Hunt. Your satisfaction is guaranteed. 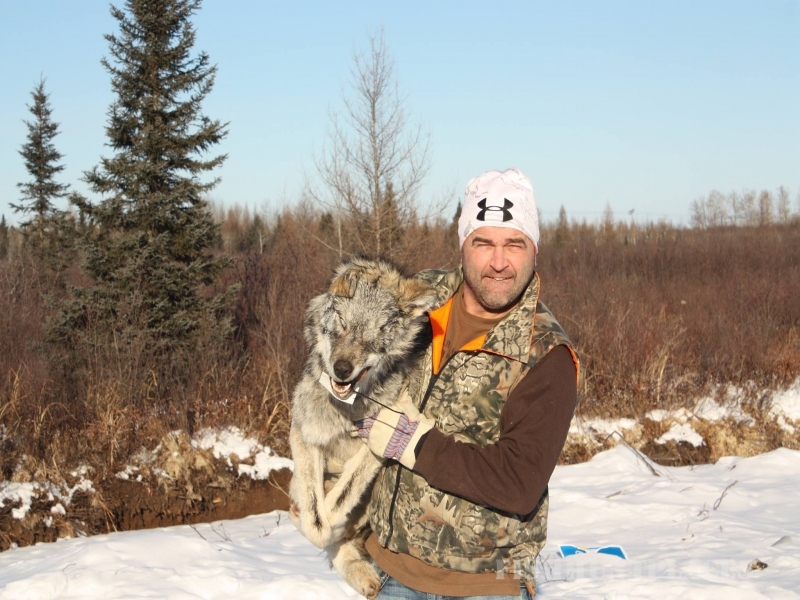 Our Ontario Wolf Hunt consists of great patience, mental toughness and strong knowledge of wolf behaviour. Anyone who has attempted to pursue this allusive animal knows exactly what I am describing. You could sit many days over active bait piles and not see a wolf, just to return the next day and find the area covered in tracks under the nightfall. I personally have encountered many wolf sightings over the years, whether it be at the wolf pack killing sites, the spottings of pack versus pack or just watching them travel over one of our many frozen lakes. The wolf population in our area is currently very high due to the great deer population over the past few years. 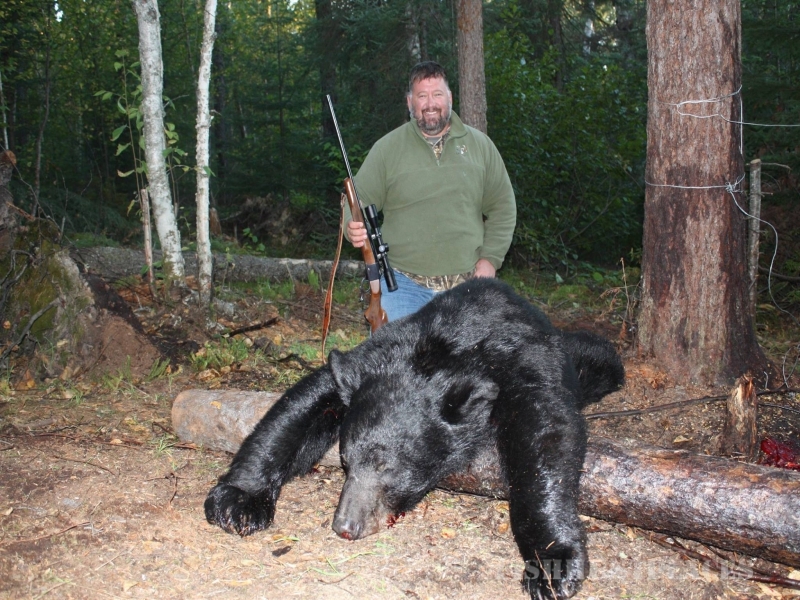 A hunter should be prepared for the personal requirements of this hunt. A long day sit and travel by snowmobile over frozen lakes and old logging roads. You would head out before daylight and in at nightfall. 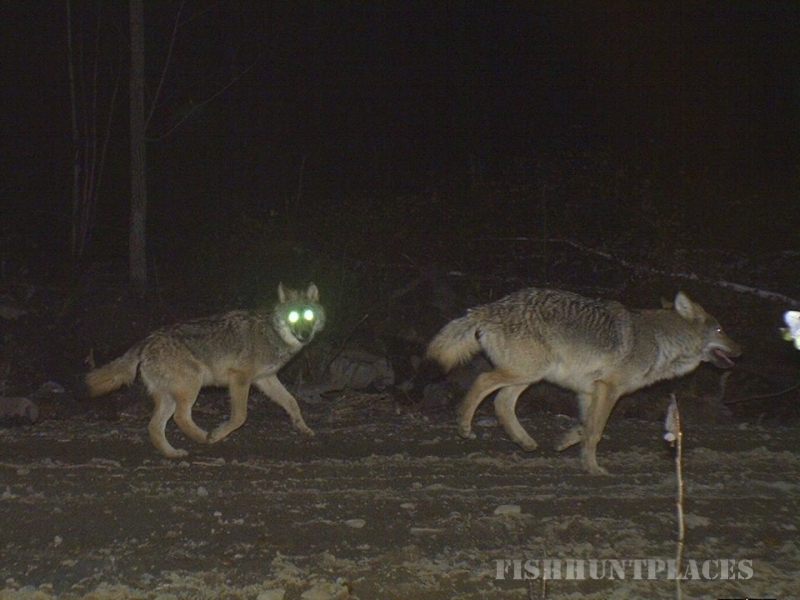 The best baits are chosen from trail camera pictures and fresh signs of wolf tracks. 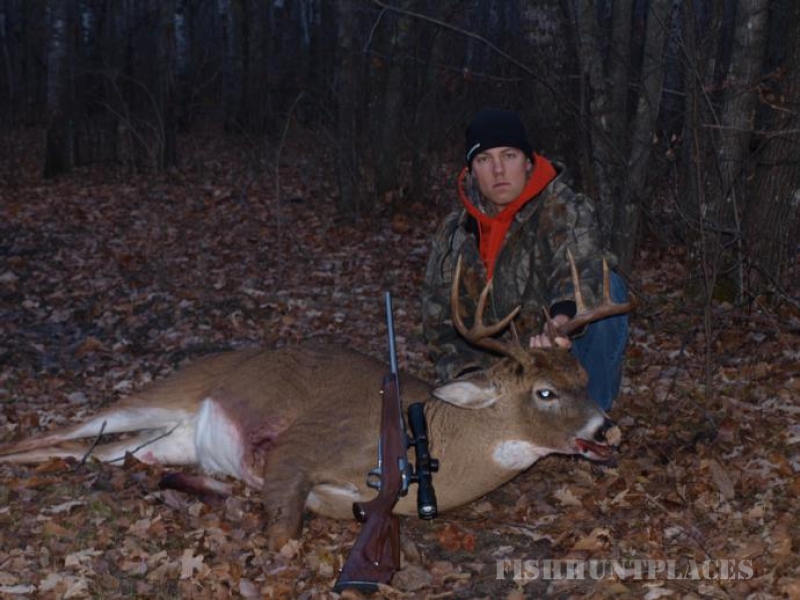 Hunts are done from tree stands early season and permanent or portable blinds late season. Which have a propane heater and comfortable chair. Shots can range anywhere from 20 to 300 yards. One should know their weapon very well and we will practice target shooting in cold weather to verify accuracy. 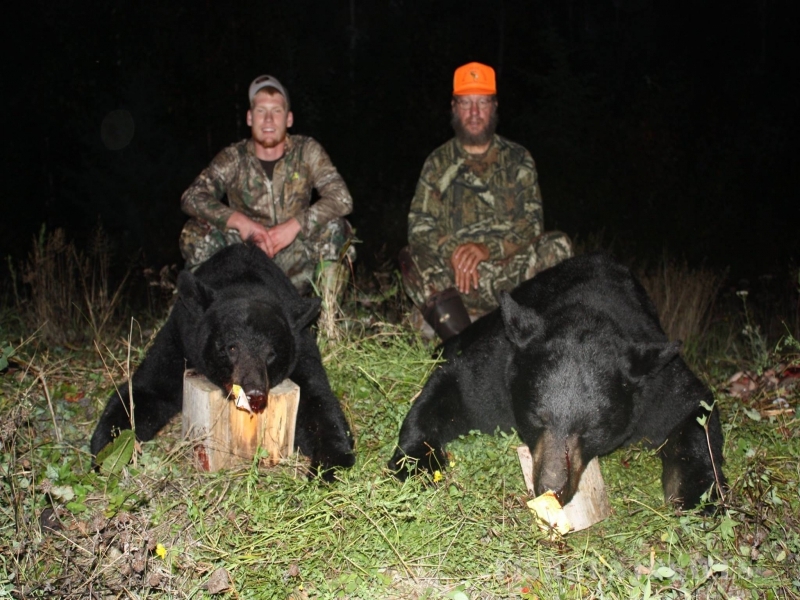 This is the ultimate experience in hunting! 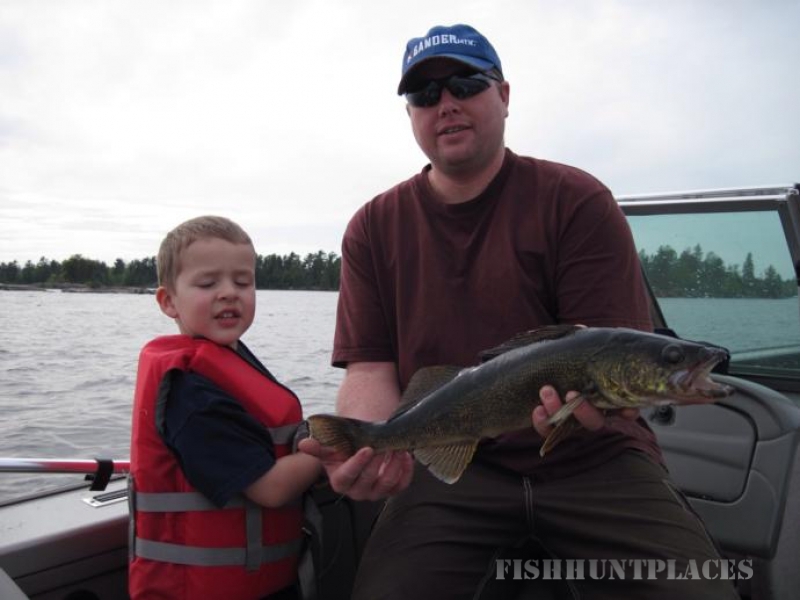 Our Ontario fishing vacations are designed to meet your needs. Feel the freedom of no schedules... just like a vacation should be. 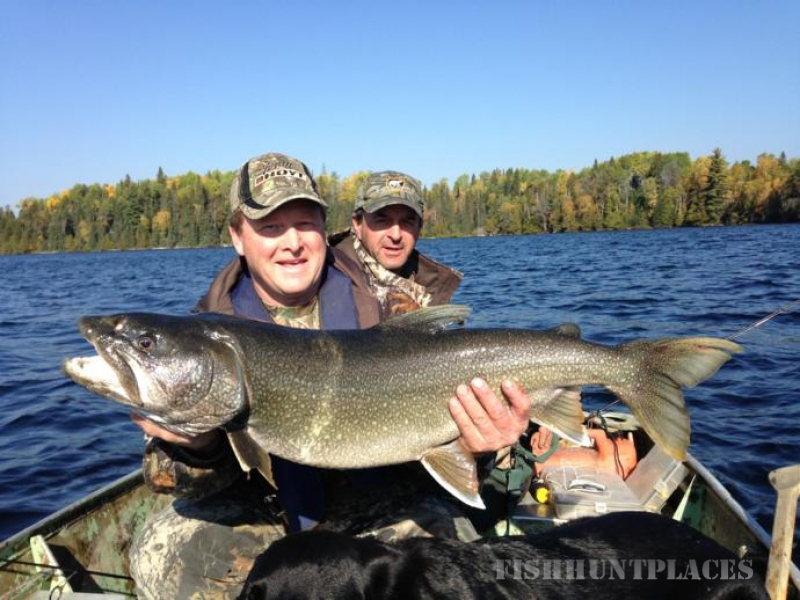 During your stay with Rainy Lake Outfitters you will bring your own boat, equipment and food. 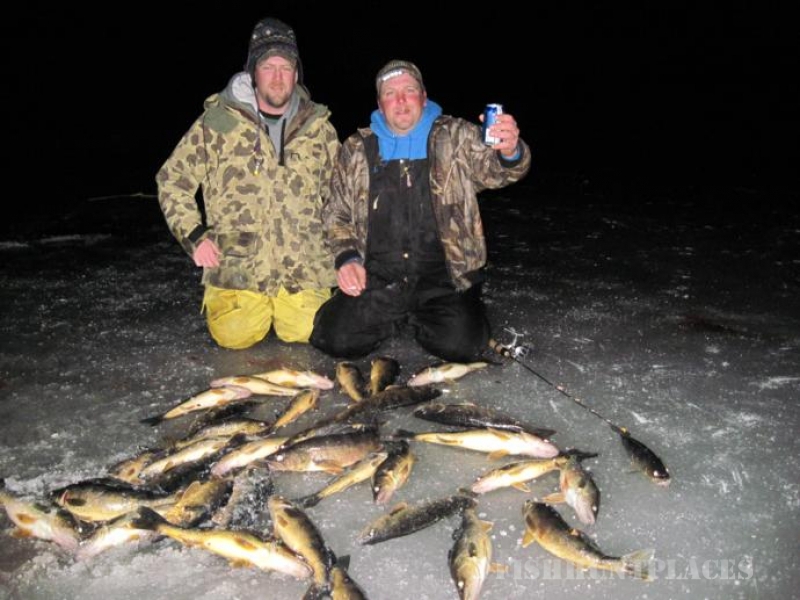 We provide the relaxing accommodations and the local fishing knowledge. We will provide lake maps and hot spots based on recent success and 35 years of real experience. You will have access to a boat launch in front of your cabin to enjoy the beautiful waters of Rainy Lake. Directions will be provided to other local boat landings on area lakes or to access Rainy Lake's North Arm and Red Gut Bay, which are located 10 minutes from our doorstep. 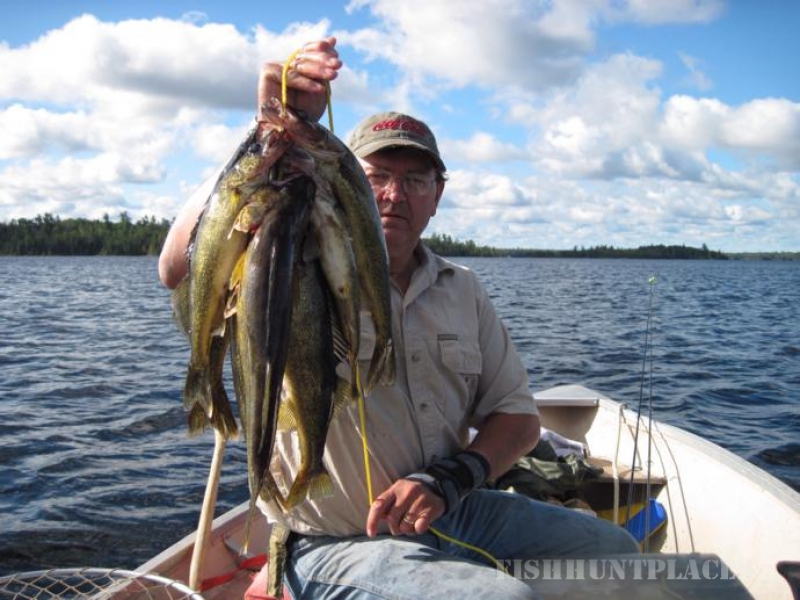 Rainy Lake is famous for its excellent Smallmouth Bass, trophy Walleye and huge Northern Pike. 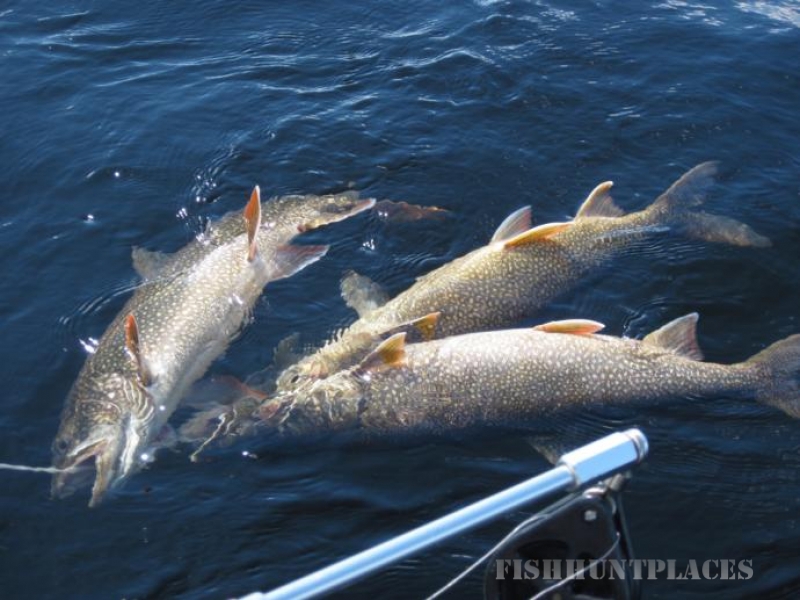 If guests of Rainy Lake Outfitters are looking for an adventure, directions to remote walleye,bass,lake trout and northern pike lakes will be provided. Accessible by ATV only. Bring a GPS for this trip! Local guides are available upon request. Whichever Ontario Fishing adventure vacation you choose, or if you just want to relax in the sun and swim. We will accommodate your needs.